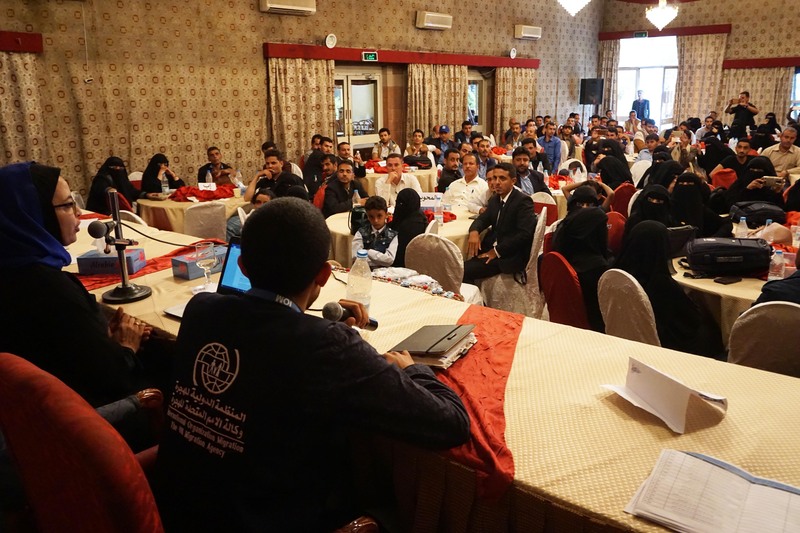 Sana’a – IOM, the UN Migration Agency, held a national workshop in Sana’a this week (3-4/09) on area assessment in Yemen. IOM’s Displacement Tracking Matrix (DTM) will be used for area assessments to help humanitarian and recovery actors develop programming and understand the numbers and needs of internally displaced persons, returnees and migrants. The workshop was organized in collaboration with the National Authority for the Management and Coordination of Humanitarian Affairs and Disaster Recovery (NAMCHA). It brought together 173 IOM and NAMCHA data focal points and enumerators from 14 governorates. IOM technical experts made presentations to sensitize participants about IOM’s global DTM principles and practices, ongoing area assessment works in Yemen, and various lessons learned from previous experiences. The participants were then provided hands-on training on relevant data collection tools, procedures, technologies, and best practices. The training will help to ensure best practices in data collection are maintained.